In honor of our #REBOOT issue, which is our sixth issue, we thought long and hard about who's the perfect Girl of the Month. After many contemplating, researching, scavenger-hunting through Tumblr, Pinterest, Instagram, and especially YouTube, I immediately know who's perfect for the title. Plus, I stumbled upon a video on YouTube, which made me learned so much more about her. From her hobbies, her fun facts, all the way to her favorite pizza topping. It's none other than America's sweetheart x good girl in the fashion industry. The runway ruling, photo-ready princess, slash model, Karlie Kloss. First of all, who doesn't know the famous Karlie Kloss?! Her name rose to fame after she stepped up on the runway and walked for Victoria's Secret in 2011, alongside some of the world's most famous models. But that walk certainly wasn't her debut in the monde de la mode, as told by Karlie herself in her YouTube channel (I'll tell you about her YouTube channel later! ), the first thirteen years of her life was completely normal, like any other girl in your neighborhood. She lived with her loving parents, and three gorgeous sisters, with names all starting wtih K! (Kardashians, please don't be shocked.) So, her life was going the way she planned, and everything seemed normal. Except her height. In 2005, she was discovered. And before she knew it, her life got a little crazy. 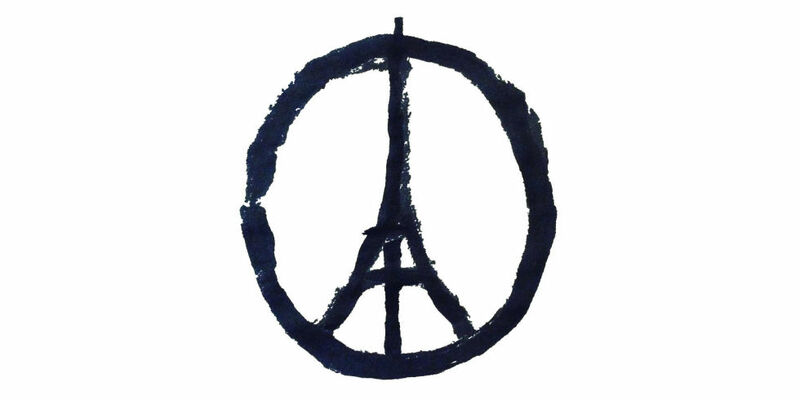 "I'd be in second period chemistry one day, and then walking in Paris' runways the next." she said in her first video. Since then, modelling became a major part of her life. The ever-so-lovely Miss Kloss stated that modelling made her very busy, but is not her sole focus. She STILL has time for her baking career, Karlie's Kookies, and she's been spending her time learning how to code these past months (Crazy, right? What CAN'T she do? ), and to as the cherry on top, she just got into NYU. So to answer my own question earlier, this supergirl can do basically anything. The question everybody's dying to ask all the famous models in the world: HOW DOES ONE STAY FIT AND IN SHAPE ALL. THE. TIME? In on of her Q&A videos, Karlie said that she always make time to workout every single day, even if it's just a ten minute run around the park. "Growing up, I played every sport in the book, basketball, soccer, swim team." said Karlie in her interview with Vogue. For frequent workouts, she meets New York City's most famous trainer whom Candice Swanepoel and Miranda Kerr also works out with, Justin Gelband, in his modelFIT studio. Like a jet-setter supermodel she is, working out is never a problem for Karlie, since she always has a set of resistance bands, a pair of ankle weights, and her Nike tennis shoes in her bag. That's it. "I like the idea that you don't need a ton of equipment, that working out can be as simple as using your own body weight and a water bottle." Karlie added in her interview with Vogue. Another most asked question: HOW DOES ONE EAT TO STAY FIT AND IN SHAPE ALL. THE. TIME? Well, for Karlie, It's never how many calories she eats, it's how she eats them. She never count calories. She bases her meal plans asnd system of eating on seasonality, alkalinity, and food combining. "The last is probably most important, because it ensures proper digestion: With food combining, it's important not to mix proteins and carbohydrates in the same meal as it will impede proper digestion and cause bloating, gas, and constipation." She spoke like a true nutritionist to Elle. Next, meals should start light, and get heavier as the days goes on! "Begin your day with warm water and lemon followed by a juice or smoothie, which will boost alkalinity (as known as your body's best natural pH balance for cells to thrive), give you energy with raw living vitamins and minerals, and will hydrate you and prep you for the day ahead." She continued. Plus, a couple of organic dark chocolate wouldn't hurt. For more tips on eating healthy as told by Karlie, click here for the article. And don't worry, you can still have a bite of Karlie's Kookies! Just follow these easy steps from this recipe, then you'll understand how much of an amazing baker she is. If you're still curious about Miss Kloss, I bet you'd love to watch her vlogs on her YouTube channel. "I spent the majority of my life in front of the camera, but not my camera. 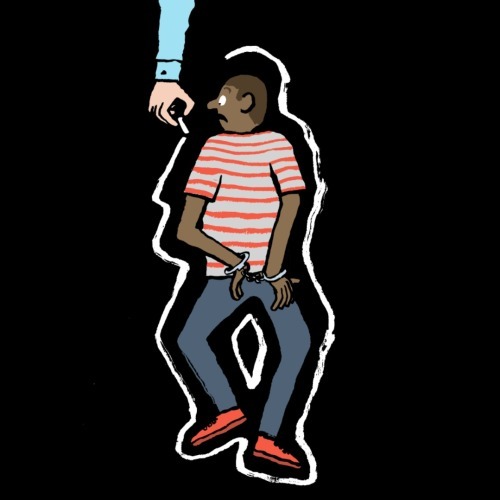 And that's where this is different." She said, holding up her pocket camera. 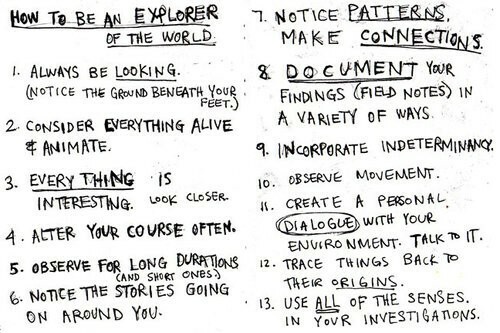 "These are the things you didn't get to see before. Like the crazy stuff happened on set, and the thrilling moments before I step out on a runway. I could not wait to share my story and this adventure. With you." She said, closing her channel's trailer. And we can't possibly contain our excitement to #REBOOT Felice! Look out for more Karlie on our newest issue, both on our website and our Instagram! After several months of going M.I.A we know we owe you guys a pretty thorough explanation of what happened these past few months. Well as uninteresting as it gets, school got in the way. Since everyone at Team Felice were all high school seniors at the time, there was a ton of school-related work we needed to put ahead. Fast forward through all the exams and the emotional late night breakdowns thinking about our future, here we are now. It’s a whole different world filled with people we have yet to know. Three years of high school slipped by so quickly and sometimes a nostalgic breeze hits us and we’re dreaded by the thought of having to adapt to a whole new environment. Leaving our comfort zone. Starting all-over again. In this issue, we are going to discuss the highs and lows of entering a new chapter in life. Creating a new habit, trying out a new hobby, setting your life goals and actually sticking to them, making new friends, moving out of the house, studying abroad, all of that stuff and of course the usual update on fashion trends along with a playlist to accompany you during your late night thinking. As well as, reboot-ing yourself in every aspect, making space for the new and improved. So, stay tuned! Follow our Instagram and keep your eyes open for updates here on our website. Cheers to a new beginning! Looking for a new snack for that stomach of yours? Or running out of food to munch on? Well you guys should totally try Habel Jerky's Beef Jerky. This local brand is taking snacks seriously, so I guarantee you won't be disappointed! Here is Team Felice's quick chat with the guys behind HABEL JERKY. 1. Tell us about Habel Jerky and everyone behind it! Habel Jerky was founded by Gamal Ramdhana and Muhammad Arif in late 2013 they both are high school mates with 5 other co-founders. 2. How did you start this business? The business started when Gamal, who's a jerky lover, couldn’t get jerky around Jakarta, then he got the idea to produce the first Indonesian beef jerky. Then he asked Muhammad Arif that was currently in Melbourne to become the co-founder of the company and build up a team with the other co-founders. 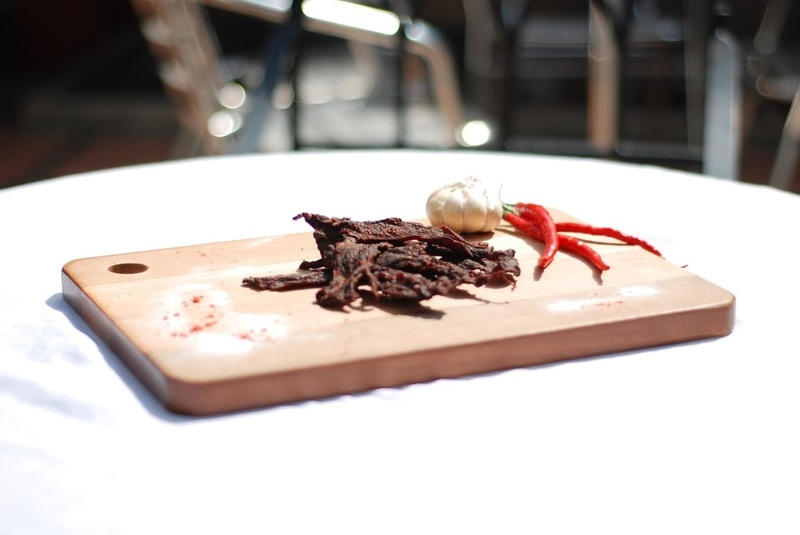 Habel Jerky's recipe was originally founded by our head of RnD team and also co-founder Renaldo Tawaris. 3. Why did you start a snack business focusing on beef jerky? Because we want to produce a new style of snacking and introduce the culture of beef jerky to Indonesia, our vision is to be the pioneer of beef jerky industry in Indonesia and South East Asia. 4. Is there a story behind the name, Habel Jerky? 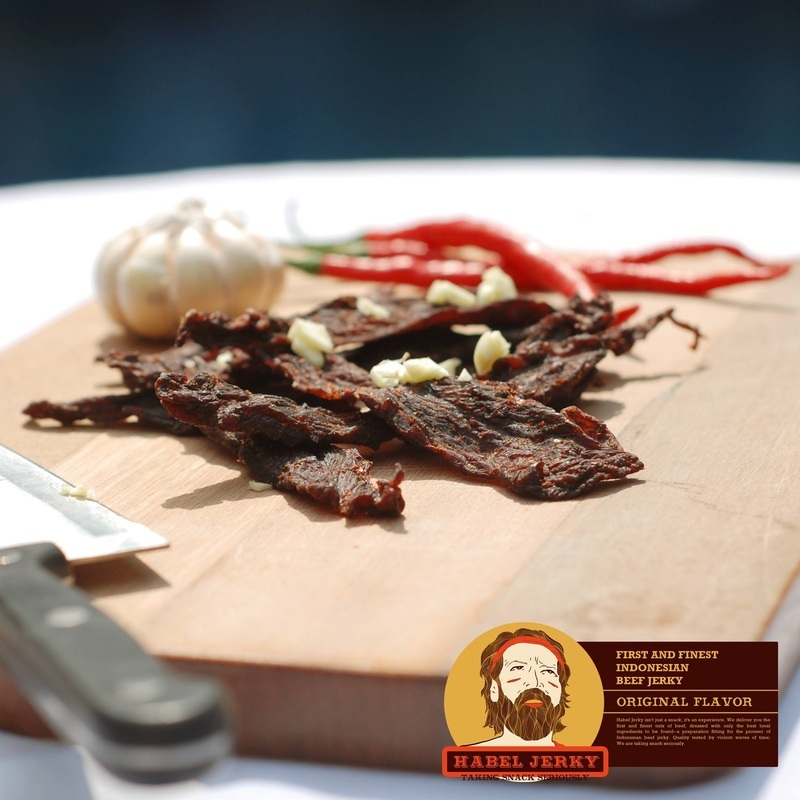 Habel Jerky comes from the idea of the biblical story, Habel and Cain. Habel is the first man ever to be recorded on human literature to prepare an offering of smoked/dried meat, which (according to the story) ironically got killed by his brother, Cain, whom heart was filled by jealousy of Habel’s offering acceptance by God – which He achieved by dedication, sincerity, and seriousness in his preparation. We hope that Habel Jerky’s namesake can embody those spirits to deliver the best snacking experience through our cautiously-handcrafted beef jerky and artisan recipe. That is the magic; We're taking snack seriously. 5. What's the biggest struggle in running a business? The biggest struggle in running a business is maintaining the existence of the brand and also managing the internal relation of the team to be efficient in time management. 6. What makes your jerky special? 7. What's next for Habel Jerky? We are planning to launch a product pretty soon, maybe in July or August with our several new flavors. In the long term we are going to hit the retail market or open a mini store. We are going to have lots of surprises, keep on following our instagram ﻿@habeljerky﻿ and our facebook page, Habel Jerky. Cheers! 8. Okay this might not be a jerky-related question but we were wondering if you could describe your fashion style to us! Fashion style? Wrecked up Vans, Pendleton shirt, Levis 502’s. Imagine someone wearing a usual basic look and ditching it for a robe and a big stick. 9. How do you guys celebrate an achievement? We celebrate an achievement with more and more achievements! 10. 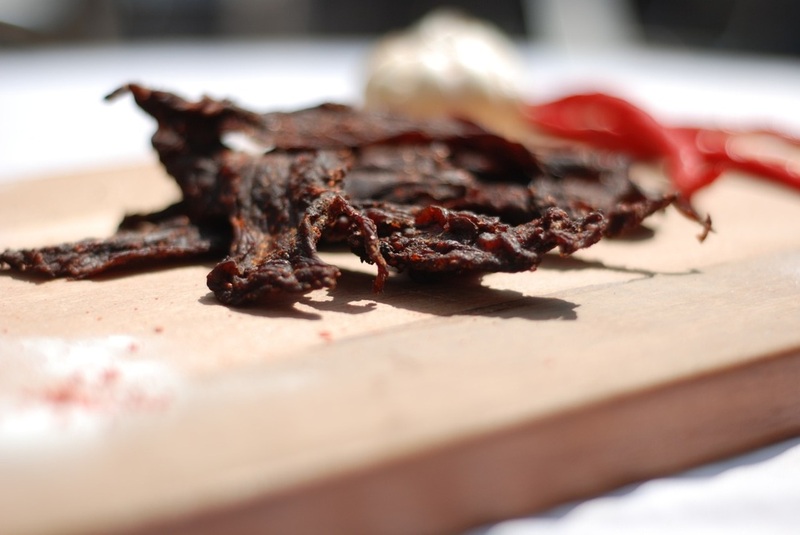 We think that beef jerky is a very festive food, what are your thoughts on that? Yeah, indeed. It’s a convenient way to fulfill your desire. It’s not about satisfying your hunger, it’s about feeding your tummy with highly exclusive supper, and that’s why Jesus called happiness. Psst.. take a peek at Pop Drop Shop's SS14 lookbook right bellow! Hi there guys! It’s been a while since our last issue, but now we are back better than ever! Starting off ISSUE 5, we’re going to tell you guys about Pop Drop Shop’s Pop Up event. Remember back in ISSUE 4 when we interviewed Amanda Rizkita, the fabulous owner of Pop Drop Shop? Well Amanda has been so kind to invite Team Felice as their event’s press member. The event was held on the 10th to 11th of May at Permata Mediterania, it featured booths from Pop Drop Shop, Kindergarçon, A Collective Market, Select Storage and also Onigiri Futago. When we got there, we were greeted with welcome drinks and a mini onigiri! There was tons of stuff ranging from apparels like H&M, Asos, Lazy Oaf, Stussy, to more luxurious brands like Bao Bao, Proenza Schouler, Kate Spade, Marc by Marc Jacobs, Balenciaga, Anya Hindmarch, and they even have the Adidas x Raf Simons sneakers! We tried on tons of things (even the sneakers!) because everything was just so appealing. Although in the end we only took home an oversized vintage flannel shirt, and a black-cropped jacket. We’d like to thank Amanda and her team for inviting us, and wish her tons of good luck and success upon her! 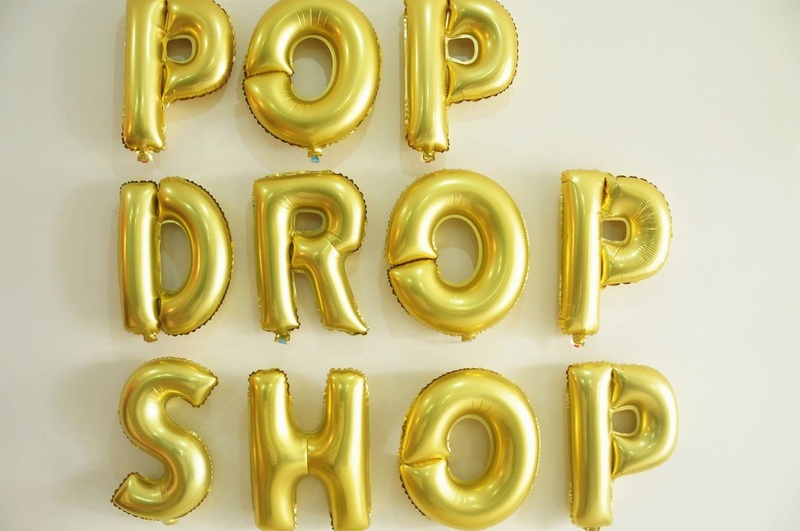 We surely can’t wait for Pop Drop Shop’s next event! Bruna Tenório, as known as Bruna, has been one of my favorite models since I first saw one of her shoots on my Tumblr dashboard. It took only a few seconds for me to scroll back to that certain post on my dashboard, and less for me to obsess over her uniquely gorgeous face. She was born on the 27th of June 1989 in Maceio, Alagoas, which is one of the most famous and beautiful beaches in Brazil. She’s Indigenous Brazilian and Europan. For those of you who aren’t quite familiar with Indigenous Brazilian, it is an ethnic group in Brazil. And because this issue we’re chose festival as our monthly theme, we’d figure that she’d be perfect to be our Girl of the Month. Festivals play a big part to the Brazilians and as for that we’re featuring her in our fifth issue. This Brazilian beauty started her career back in 2006. She debuted her modelling career when she walked for many famous designers and fashion houses such as Chanel, Christian Dior, and Dolce & Gabbana, in two of the capital cities of fashion, Paris and Milan. One of my favorite shoots that she did was with Brainstorm, which picture I chose for this issue’s cover. Since that, she came one of the favorites of many designers. Besides modeling, she’s quite a traveller and also a blogger too. You can see her latest project with Adidas x FARM, which article you can expect in this issue, so stay tuned! Pictures are taken from here, here, here, here, and here. Finally, greetings from #TeamFelice! It’s been a while since the last time we published our last issue “Wanderlust” (well almost 5 months actually…), and this month we’re starting fresh on our upcoming May issue. Our fifth issue is going to be a very festive one, which we think is really fun and is a great way to start things up again! We are so glad and thrilled that we can finally begin again. Lots of exciting and very festive things are going to be in this issue. There will be lots of new features too and exciting weekly articles. We are also happy to say that we were officially invited as Press member on PopDropShop’s Pop-up event. We were overjoyed and happy to be able to participate in such an awesome event! Details about the event will also be in this fifth issue as well. We are beyond happy and thrilled to be back writing and sharing things with all of you wonderful readers out there! And we would like to share this experience with you also, which is why we would like to read about YOUR thoughts and feedbacks, so please do e-mail us (felicemagazine@gmail.com) if you’ve got anything to share.